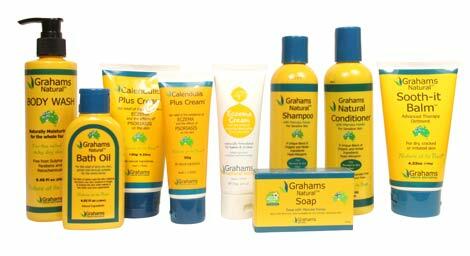 We first spotted Graham’s Natural Alternatives skincare range, which is designed for those with eczema and psoriasis, at the Natural and Organic Products Show in the Spring, and have been impatient for its launch into the UK ever since. Finally, this Australian brand has arrived on UK shores, and we recruited four of our regular testers to put the range through its paces. Here’s what they had to say. “We all get very patchy dry, itchy skin as our eczema flares up and we used the cream morning and night to help it. “The cream smells natural and doesn’t have much of an aroma to it, which I liked. The shea butter means it applies easily and feels light but effective in its coverage. It absorbs quickly and is cooling and soothing on itchy skin, seeming to get to work right away. The absorption rate is important with kids so that it doesn’t come off on clothes before it has a chance to work. It worked effectively on the children’s small dry and flaking patches of skin. It was really good at soothing my itchy legs, something that not many creams are able to do, and one application would last. “I liked the fairly natural ingredients, such as the shea, and the olive oil, though I was a little concerned to see cetyl alcohol on the list as some eczema sufferers can react to this, although we don’t. I liked the packaging, I felt that it was simple and clear to read, and that the instructions were clear too. The cap made it easy to dispense the right amount. “The Bodywash is thinner than most, but it gives a good lather which stays on your body much more effectively than a standard shower gel. It feels lovely and moisturising as you use it - like some kind of oil making a silky veil over your skin. I moisturised as normal afterwards, but some may not need to. There’s a lovely moisturising effect if you wash your legs after shaving them! “The soap is big and chunky, and gives hardly any lather, but seemed to clean just fine. The soap is meant for dry, itchy skin and to be suitable for eczema - it is colourless and fragrance free. “The Balm feels very greasy on the skin, like Vaseline, but it does sink in fairly quickly. I liked the long-lasting moisturising effect of this, but unfortunately could not tolerate the lanolin. 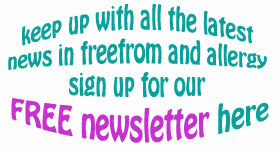 “I used the cream on my hands, arms, legs and body, for my chronic eczema. It had a good texture and was easy to use and apply. My main criticism concerned the aroma which I found unpleasant. Overall my skin felt soothed and well moisturised. I don’t think my skin is any worse or better than with usual products I use designed for sensitive or reactive skin, but I did like that the cream was more easily absorbed than some I’ve tried. I will keep using the cream on small patches of eczema rather than as an ‘all over’ product. “The bath oil left my skin soothed and well moisturised too, although I prefer a bath oil that mixes with the bath water - such as Oilatum - because I find this gives a more full and even distribution of moisturisation. Rebecca has scalp psoriasis. She tested the Shampoo (£14.99, 250ml) and Conditioner (£14.99, 250ml). “Both the shampoo and the conditioner have a nice fragrance, aroma and texture, and were easy to use and apply. The ingredients were reassuringly natural – although the conditioner highlighted the Manuka honey ingredient, the product smelt more coconut-y to me. Labelling was clear, and I liked the packaging - it was nice and simple. “I found the shampoo and conditioner soothing on application. I didn’t notice a marked improvement over the six-week period I trialled the products, but the products didn’t irritate my scalp - and many shampoos tend do that. “Overall I liked the scent and the texture - they were nice and creamy. My only dislike would be that the bottles aren’t especially big and I tend to get through shampoo and conditioner quickly, which would be a concern if I was purchasing them. 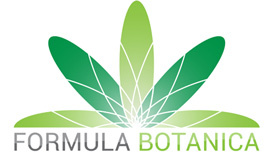 Note that all products except Soothe-it-Balm contain Manuka honey, and so are not vegan-friendly, and the Calendulis Plus Cream contains propolis, which the manufacturers warn can cause irritation in some. Further, The Calendulis Plus Cream and the Bath Oil contain emu oil, so are not vegetarian. 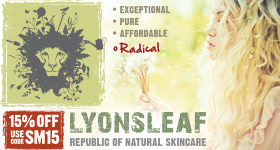 The ranges are free from parabens, petrochemicals and sulphates.